You should have seen the photo of Johnny Manziel smiling at his press conference in Memphis on Tuesday. It was the same smile he flashed in Cleveland and the one he unfurled again last year Montreal. It’s always this way at the start when Manziel agrees to play football for you. The problem is what invariably comes after, the smile turned upside down thing. Manziel visits. He just doesn’t stick around. 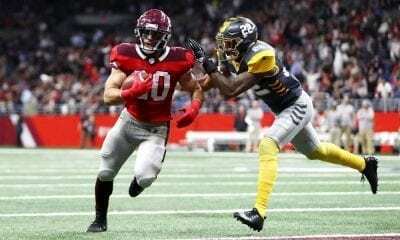 If you subscribe to the theory that the third time is the charm, then Manziel’s introduction as the newest member of the Memphis Express of the Alliance of America football will be a smash hit. If you’re the “fool me once, shame on you, fool me twice, shame on me” kind of person, you’ll sit back and wait for the Express to figure it out, too. Manziel, the 2012 Heisman Trophy winner, has resurfaced after difficult stops in the NFL and CFL, both defined by sporadic play and spotty behavior. Just last month, the CFL basically kicked him out of their league after making vague references that he’d violated its code of conduct agreement. We assume it wasn’t for jaywalking in Montreal. 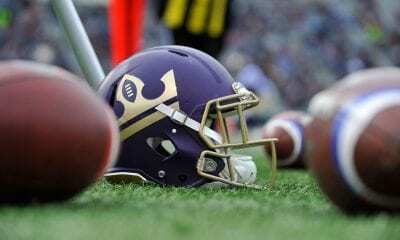 The AAF is trying to get on its feet during its inaugural season. It’s played in front of small crowds in eight cities and now must fight the MLB regular season and NBA and NHL playoffs for attention and airtime. You figured it would jump at the chance to sign Manziel, hoping people will press their noses against the window to watch him explode or implode again. But even that wasn’t a slam dunk. According to the way things work in the AAF, his rights originally belonged to the San Antonio Commanders, due to his college career at Texas A&M. They said no thanks. At that point, he was sifted through the waiver system to the Express, the worst team in the league. It’s there he will play – eventually – for no-funny-business coach Mike Singletary, the former Chicago Bears linebacker. Along with bad football, Manziel has had many off-the-field incidents in his life. In 2016, he sought treatment for alcohol abuse and anger management after he was acquitted of a domestic violence charge. Good for them. But let’s review. Manziel began his pro career as a first-round pick of the Cleveland Browns in 2014. 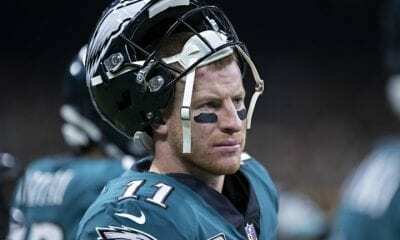 He started eight games in 2015 and 2016 before becoming part of the team’s 30-member quarterback alumni group spanning 1999 to the arrival of Baker Mayfield. He completed just 57 percent of his passes with as many touchdowns (seven) as interceptions. He didn’t play again until the CFL’s Hamilton Tiger Cats signed him before this season and then dealt him to the Montreal Alouettes. Manziel went 2-6 as a starter with Montreal last season, throwing for 1,290 yards with five touchdowns and seven interceptions. He also ran for 215 yards on 29 carries. And then that suddenly blew up in his face, too. 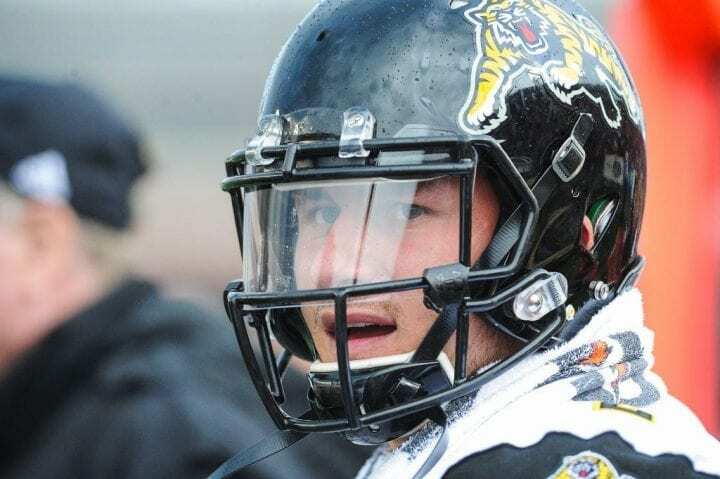 “I’ve done a lot of soul searching and a lot of looking at myself in the mirror and coming to the realization that when I’m on a football field and on a team, my life is substantially better,” Manziel said. Why would the Express take a chance on him? Wouldn’t you if Christian Hackenberg, Zach Mettenberger and Brandon Silvers were the QBs on your roster? Manziel moved one heartbeat closer to playing when Mettenberger injured an ankle on the first play from scrimmage on Saturday and couldn’t return during a 22-9 loss at Salt Lake. The Express play again on Sunday at home against the Birmingham Iron. The game will be on NFL Network for when your curiosity overwhelms you. Singletary is buying the line at the moment. Now it’s up to Manziel to prove everyone else is wrong. Billy Martin may have had five chances to manage the New York Yankees, but it seems Manziel’s expiration date will come after three.